We finally had our first workshop designated for students in grade 12! 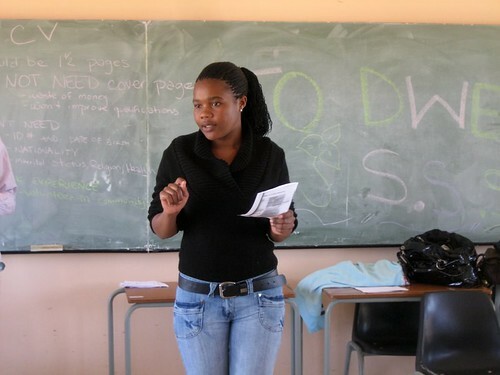 It was a workshop to make all the kids aware of their post-matric (high school) options. The reason for starting this workshop was because we have had a lot of kids come in to the Hlomelikusasa office having finished high school and with no idea what to do next. Maybe they want to be a nurse or police officer, but they have no idea what the job requirements are, deadlines for training, or courses they would need to study. Through this workshop, maybe we can help kids become aware of all their options. 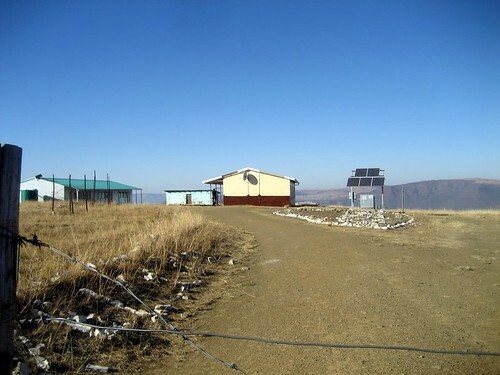 So, for our first workshop we went out to Dweba Senior Secondary School in Hlabati–almost a 2 hour drive through the mountains! 25 out of 27 students were in attendance, which was pretty damn good. We broke the workshop down into segments: CV preparation; school-leavers options; practice interviews; skits; and a questionnaire about their strengths and interests. Fikiswa and I led CV prep and she was great! She really came alive w/ the group. Made me wish she was our youth coordinator instead of being the office secretary, which, to be honest, she isn’t very good at. 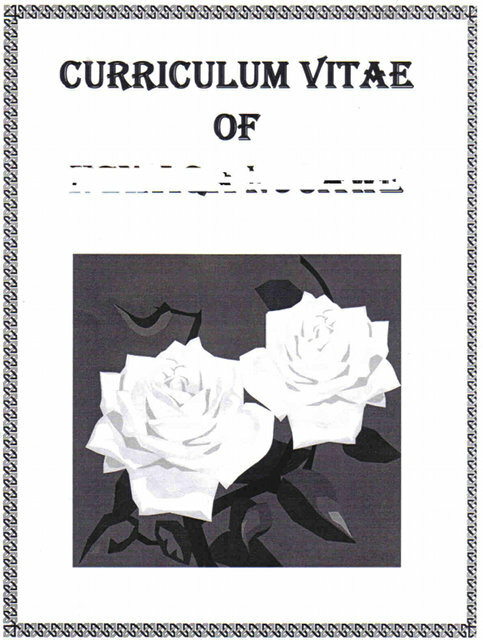 We compared good and bad CV’s (people around here tend to put a cover page on their resumes. It is ridiculous and useless, but everyone thinks it “makes a good impression.”). Then, Siyabonga, the Hlomelikusasa youth coordinator (who incidentally won’t acknowledge me—because I’m a woman, I guess—but I created this entire effing workshop, and he will only talk to Andy about it if he has a question–it’s infuriating!!!). Anyway, Siya and Andy talked to the kids about “What do you do?” when they graduate from school: peer education, getting a job, going to FET (technical college) or CIDA (a business school that Scilla is really excited about) etc. Siyabonga & Fikiswa doing a skit for "Day in the life of a social worker." It was all really eye opening. ALL the kids want to go to university, but had no idea of the Why, How, or Where. We asked, and they answered, “I want to go to university because I want to improve my studies.” But nobody had a SPECIFIC clue what that meant for them. “What courses would you need to take in order to become a social worker? or an accountant? or a doctor?” Nobody knew. A lot of kids put a first career choice like Teacher, or Police, and when asked about their backup or 2nd choice: Doctor…. I didn’t want to burst anyone’s bubble, but not many people–especially not 20-year-old high schoolers–are going to have much luck if their fall-back career is Doctor. Precioius (w/ Siyabonga) rallying th troups with ice-breakers! Now that we’re getting so close to the end of our time here in South Africa, it really made us feel good to do something that might have a positive outcome. It is going to be an ongoing series, hosted by Fikiswa, Precious, and Siyabonga. And we already have our second gig booked for next weekend! Well, it just sounds incredible! You never know how long-term the effects of a thing like this will be, but as the saying goes, if you can have a lasting effect on just one or two…. Dude, that’s awesome! That sounds super useful to the kids. Nice job, Alex (I’m sure Andy did ok, too… at least, that’s what Siyabonga told me). impressive, sounds like it was an extremely valuable workshop.